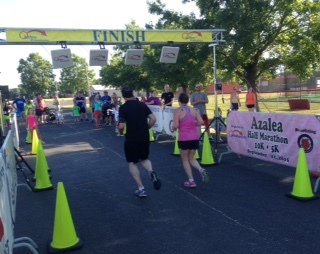 Joplin, MO - Saturday, August 8, 2015 was the Blue Moon 5K, 10K & 1 Mile Fun Run. Blue Moon was the third of three races in Starlit Running Company's Nighttime Summer Race Series. Joplin's beautiful Frisco Greenway Trail was the venue for this chip timed, luminary lit run. Participants enjoyed a professional DJ, race shirt, glow bracelets, age category awards, post-race snacks including ice cream, BLUE MOON Beer, and a race atmosphere like no other! 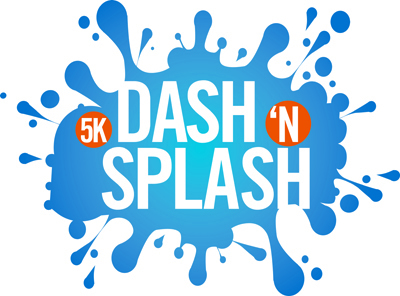 Grove, OK - Saturday, August 1, 2015 was the 2nd Annual INTEGRIS Foundation 5K & Fun Run held at the Grove City Pool. Proceeds from this event benefit the INTEGRIS Foundation Cancer Fund. Thousands of dollars are donated to local citizens each year who are battling cancer. Funds are used to help with medical expenses, fuel for travel to treatment, nutritional supplements, medical supplies and other essential expenses. Thank you to all of our participants, volunteers, families, and Ozarks Teen challenge staff for showing up and making our 1st annual Home of Hope Family 5K a success! Over 150 participants ran or walked to fight addiction, support those struggling, and to honor those who have been lost. Our students and their families felt the love and support of the Ozarks Community and we cannot thank you all enough! Seeing our boys cross the finish line with their families and friends by their sides or cheering them on meant the world to them and to us. Ozarks Teen Challenge would also like to thank the family of Brendon Dean for their support. Brendon and those we have lost will never be forgotten. We fight on and their memories drive us in this battle against teen addiction. Seeing the love of such an amazing family driving them to continue to help others is an inspiration to us all. 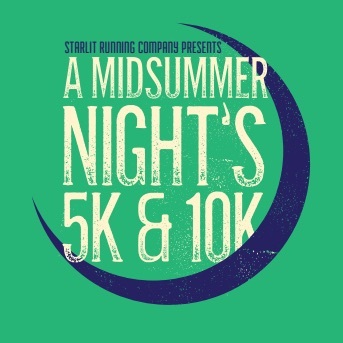 Joplin, MO - Saturday, July 11, 2015, Starlit Running Company hosted A Midsummer Night’s 5K, 10K & 1 Mile Fun Run which was the second of three races in the Summer Race Series. Joplin's beautiful Frisco Greenway Trail was the venue for this luminary lit run. Participants enjoyed a professional DJ, technical race shirt, glow bracelets, age category awards, post-race snacks including ice cream, and a race atmosphere like no other! 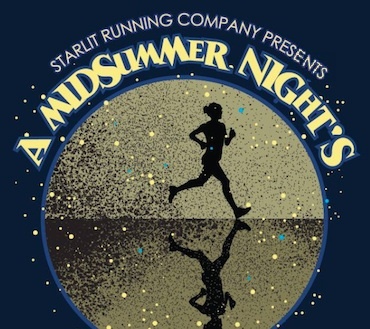 Joplin, MO - Saturday, June 6, 2015, Starlit Running Company hosted the Annual Starry Night 5K, 10K & 1 Mile Fun Run. This was the first of three races in Starlit Running Company's Nighttime Summer Race Series held on Joplin's beautiful Frisco Greenway Trail. Runners enjoyed a professional DJ, technical race shirt, glow bracelets, age category awards, post-race snacks including ice cream, and a race atmosphere like no other. Runners/Walkers who participate in all three events will receive an AWESOME, custom finisher's medal upon completion of the third race! Note: it is not necessary to run the same distance in each event to receive the custom finisher's medal. Feel free to mix and match distances as desired. Aurora, MO - Saturday, June 27, 2016 was the 6th Annual Run for the Parks 5K held at White Park. Proceeds from this event go toward the development of walking/cycling trails. The Aurora Trails Committee is working on raising funds to create trails for running, walking, and biking around the City of Aurora. 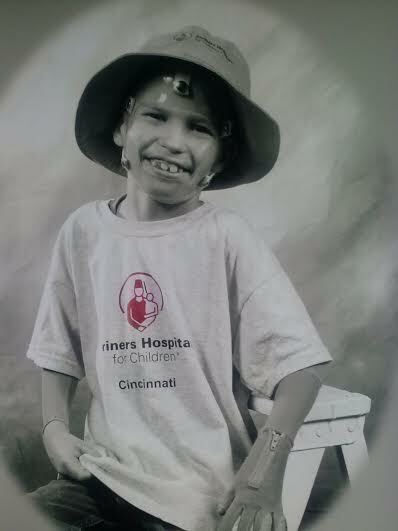 Clever, MO - Saturday, May 30, 2015 was the Bubba's Fight for Burns 5K & 10K benefitting the Shriner's Burn Unit. The Shriners Burn Unit for children specializing in burn injuries have been leaders in burn care, research and education since opening. Thanks to the cutting-edge medical care provided at these hospitals, every year thousands of children have a greater chance of surviving from all types of burn injuries.